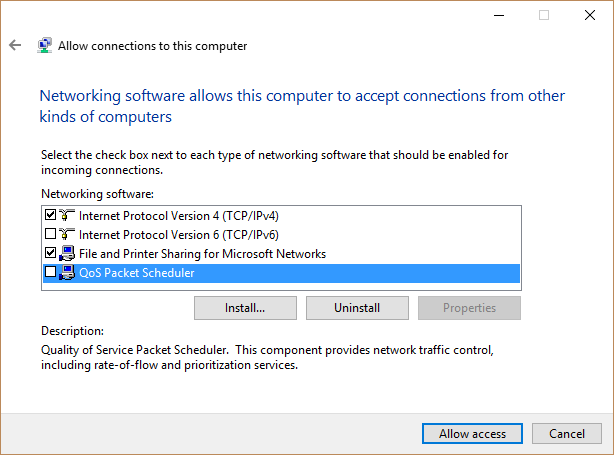 The Allow Remote Access to VPOP3 topic explains how to configure VPOP3 to support this if you have a permanent Internet connection (cable, ADSL, leased line etc). 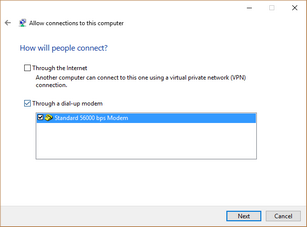 If you do not have a permanent connection to the Internet, then you will need to configure a dial-in server on the VPOP3 computer or another computer on the same network as VPOP3. 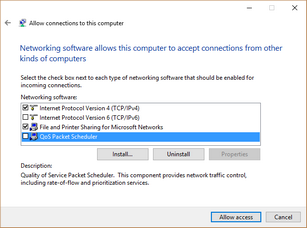 To support a dial-in server using these instructions, you need a modem on a Windows computer on the VPOP3 computer or another computer on the same network. Press Win+R to bring up the Run dialog. 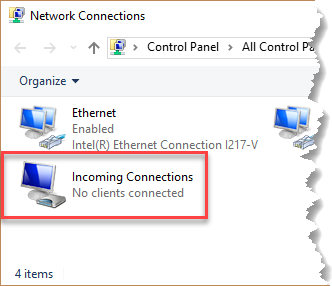 Type ncpa.cpl and then OK.
Now, in the network control panel there is an Incoming Connections icon which shows how many active incoming connections there are. 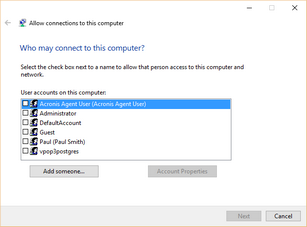 As an aside, at the How will people connect dialog, you can also choose Through the Internet to have this computer act as a VPN server. 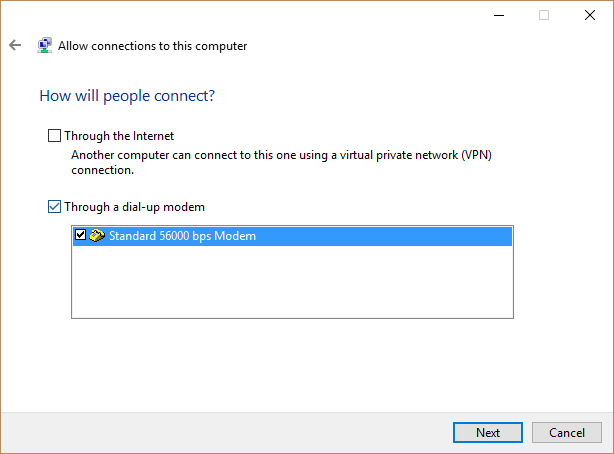 This needs a permanent Internet connection so is not relevant for this particular topic, but may be useful in other circumstances - eg if you do have a permanent Internet connection but want to have a VPN for users to connect to VPOP3 rather than connecting simply over the Internet. 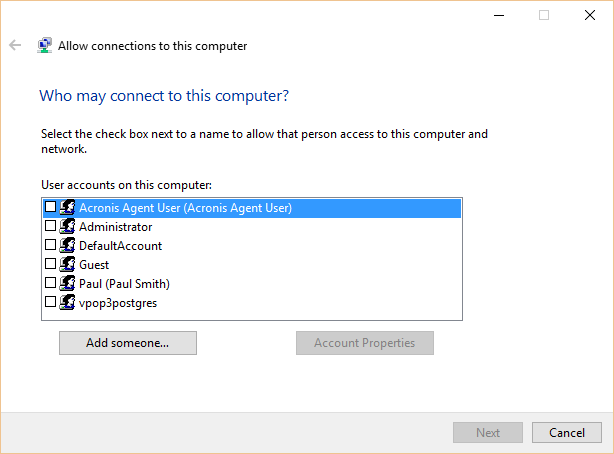 Windows Server also supports dial-in services, but it is more complex due to the integration with Active Directory and support for more powerful features.